New month, new read-a-long. This month I'm joining Evie @ Bookish and Rachelia @ Bookish Comforts on the Read-A-Long for Delirium by Lauren Oliver. And the wrap up on Feb 28 for you to link your reviews but also to share your favorite quotes and parts. Last month they read Divergent but I found out after the first week so I didn't read it with them, I just joined the Discussions. 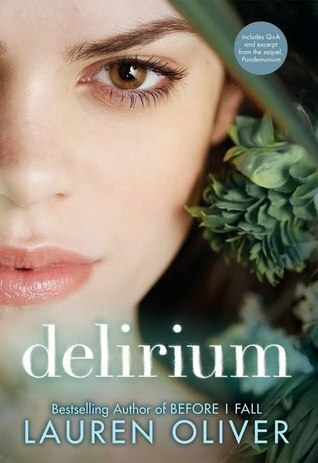 I haven't read Delirium so I'm reading it along this month and will be joining the Discussions as well. Yay! I actually have a copy of this one! sounds like fun! I know, this is my first real read-a-long, since I didn't read last month's.